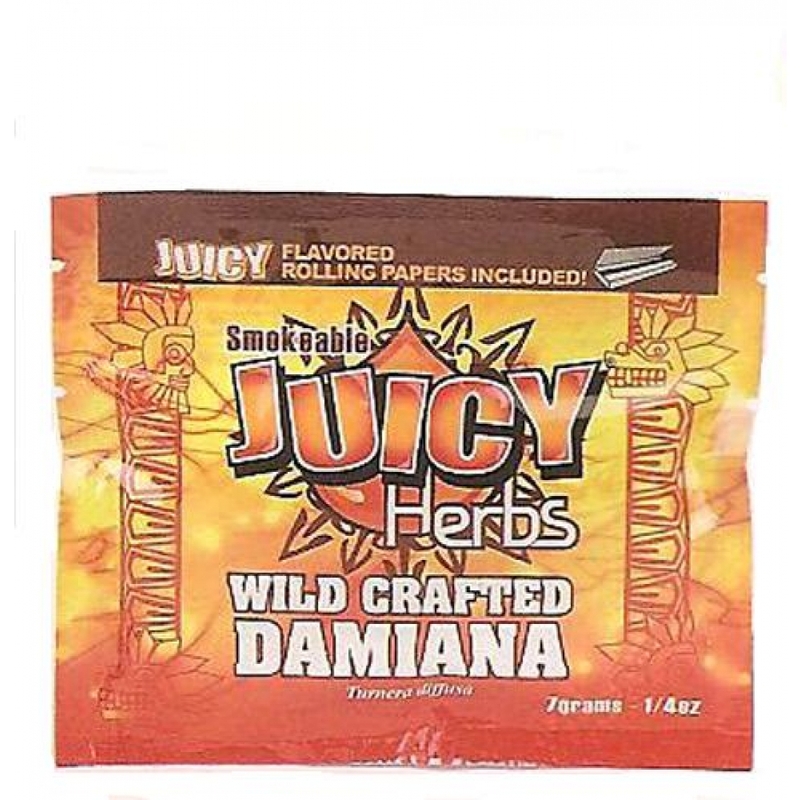 7 grams of Wild Crafted Damiana, aka Turnera diffusa are smokeable from Juicy Herbs. Known for its relaxing and mild euphoric effects, Damiana has been a popular herbal supplement for centuries. Includes a free pack of Juicy Jay’s flavored rolling papers in every pouch. Ready to smoke! This herb is surprising, it's simple yet it works well, it's not harsh and doesn't produce a negative smell. I notice that it seems to build up the more you smoke, the first time I smoked it was okay, the next time I smoked I felt amazing! It's a beautiful herb and yes it does work on the appetite as well produce a mild euphoria. It was beautiful and I really enjoyed it.